Sigma Coupon Code for November! | Sahrish Adeel - Malaysia based Pakistani Beauty & Lifestyle Blogger! 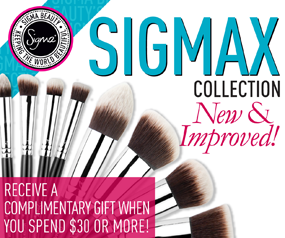 Sigma Coupon Code for November! Click on PSW2011 and enter it when checking out. This code is valid till November 30th 2011. Check out my detailed post on upcoming beauties by Sigma Makeup! Sigma - Black Friday FREE shipping WORLDWIDE! Facebook, Twitter, Youtube or Google+ ??? NOTD - Graffiti Nail Art in White by Golden Rose!